Newly updated, bright top floor corner condo with all the bells and whistles!! 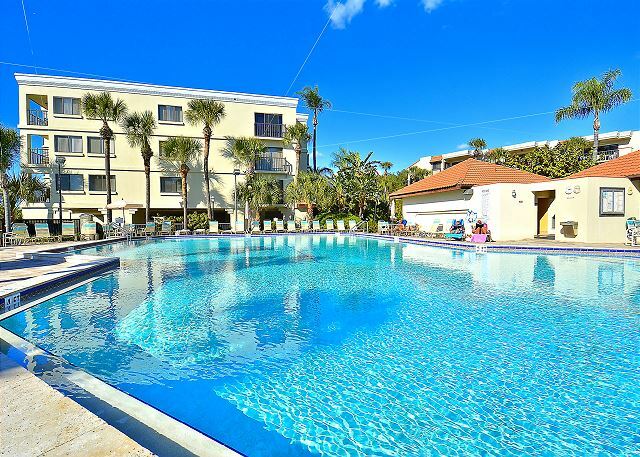 This 2 bedroom, 2 bath condo faces west providing you with amazing views of the beach and allowing you to take in the beautiful sunsets sinking into the Gulf of Mexico from your private, well-furnished balcony. 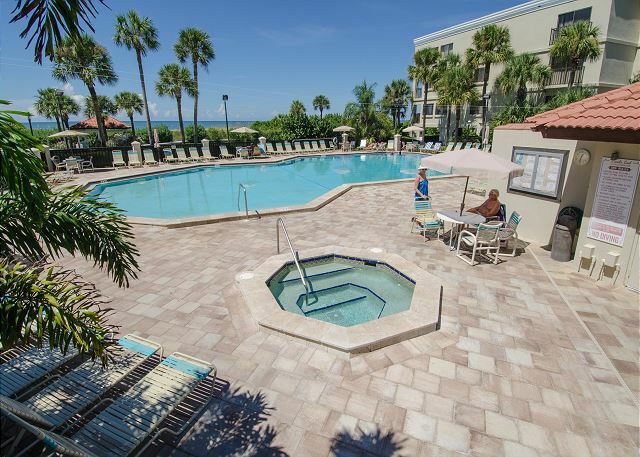 The master and guest bathrooms are boasting Travertine tile and the kitchen has been completely updated! Gleaming hardwood floors flow through the spacious living room and dining room and the condo décor is a perfect complement to it all! Other updates include a brand new, adjustable SLEEP NUMBER BED that is absolutely amazing, high definition TV’s/5G wireless internet combo, washer and dryer in the unit and so much more! Wonderful, we are so glad you enjoyed this premier unit in our inventory! :-) Thank you for being our guest and we hope to see you back for another visit soon. 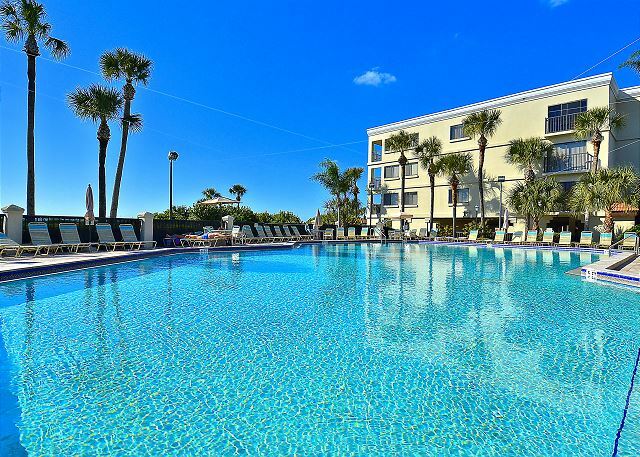 Pleasant stay in a comfortable, well equipped condominium. We really enjoyed tasing the balcony. We took in sunset after beautiful sunset, cocktail in hand, listening to the waves crash on the coast. The unit is comfortable. Not overly fancy but we’ll appointed. Sounds like you relaxed and enjoyed just like you should!!!! ;-) We are so glad you were comfortable in this premier beachfront condo in our program and we hope to see you back for another visit soon! Awesome, we are glad you enjoyed this premier condo at Land's End!!! :-) Always nice to have you and we hope to see you back again next season!!! The condo was comfortable, clean and well maintained. 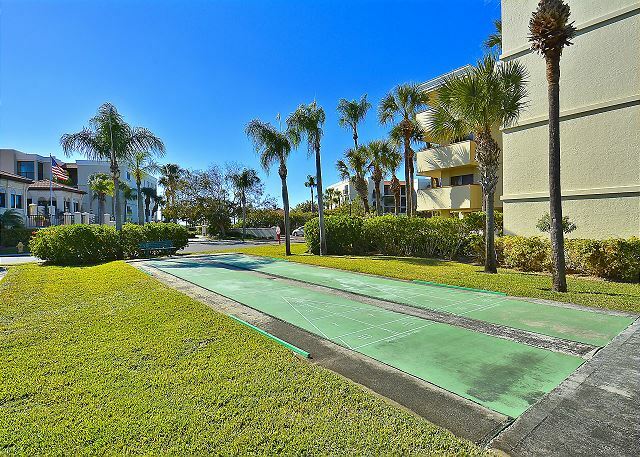 The beach, pool and tennis courts are great. My children enjoyed fishing in the inter coastal waterway on the backside of the condo. We enjoyed tennis, golf, fishing, beach, and walking. We ate at the Salt rock, Middlegrounds, Leverocks, Cafe and Catering, and the guy Harvey Resort Restaurant. Grocery stores, churches and medical care are all close by. 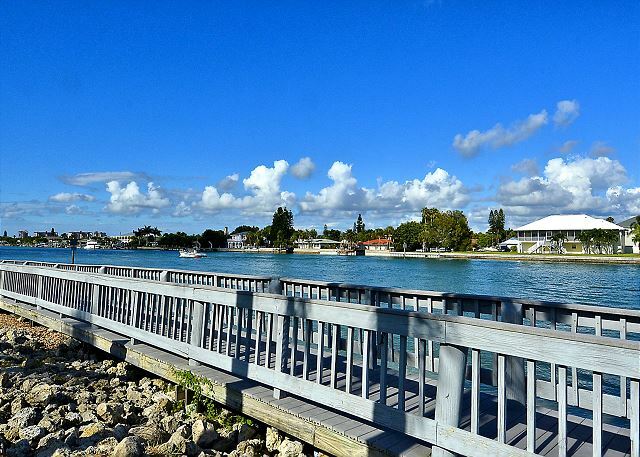 Rsort Realty rentals are a pleasure to deal with and located conveniently close to the condo. Thank you so much for this great feedback! 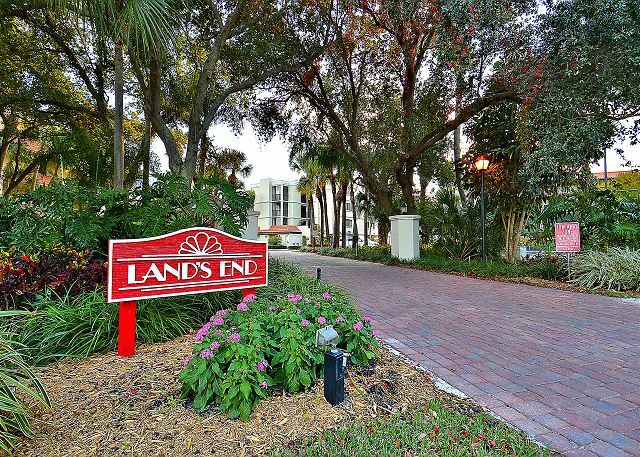 We are so glad to hear you enjoyed this premier condo in our program along with all of the amenities that the Land's End community has to offer! Sounds like you visited some REALLY good restaurants in the area while you were here, those are all good ones!! :-) Thank you so much for being our guest and we look forward to another visit from you in the future. We have been returning to Lands End 3 - 4 weeks a year for about 4 years now. We love the location, the complex and the area. We will continue to return until we decide on where to buy another home in the area. This particular unit is as close to perfect as you can get. The recent addition of a Sleep-by-Number king size bed in the M/Br made this stay even better than the previous two. Visit, as soon as you can! From booking to checkout the experience was easy. Everyone I chatted with at Vacation Rental's was helpful and accommodating. We are always happy to help!! :-) Glad to hear you enjoyed this premier condo in our program and we hope to have you back again soon! it was very disturbing. They were sand blasting the concrete and we ended up with much dust besides all the noise. I really think someone should have notified us about the construction noise so we could have had a choice to move to another area further away from the construction noise. We are so sorry for the disruptions that you experienced from the neighboring property; we very much understand the frustration it caused you! Unfortunately we do not have any association with the property that neighbors Land's End so they do not inform us of activities happening on the grounds. They have been doing some repair work at The Mansions By The Sea since the beginning of the year, but the work seems to come and go so there is no set schedule that we are aware of. We hope this will not stop you from visiting with us again at the Land’s End property! The unit was very nice overall. It was decorated simply and pleasantly. The kitchen was sparse in pots and flatware, but Resort realty quickly supplied a pot and additional flatware. Nice wood floors and renovated kitchen and bathrooms. The views are spectacular. Main complaint is the master bedroom king mattress is awful. It is lumpy and has lost its support. The king mattresses seem to be a common problem at Lands End rental units. The only other issue was three days of jack hammering in a nearby apartment. It made conversation nearly impossible. However, Resort Realty stopped it. We should have notified Resort Realty on the first day of jack hammering. We want to return, but are hoping for a decent king mattress. Thank you for the post and feedback. We are so glad you enjoyed your stay in this premier condo that is in our program but we do apologize for the construction that was occurring near you. Thank you for calling us to let us know, we are more than happy to help however we can! 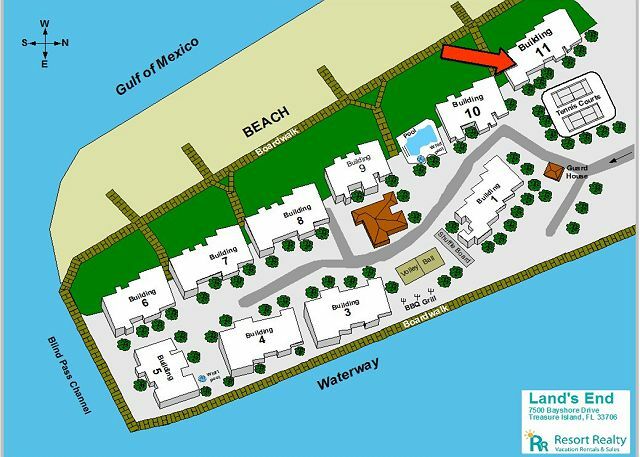 We do not manage all of the condos at Land's End so we are not always aware of repairs and/or work that might be taking place at the individual units. We try our very best to keep on top of that and will let our guests know ahead of time if there could be any issue. We want to be sure our guests are 100% comfortable and satisfied during their stays so we try to keep on top of all occurrences that may take place on the grounds. We also wanted to let you know that the owners replaced the bedding and have added a brand new, VERY nice Sleep Number Bed!! They have also added a new set of pots and pans, new cordless blinds, Hurricane Proof sliding glass doors AND high definition TV/5G wireless internet combo! They would love for you to come back and enjoy all of the new features and updates!! :-) Thank you to all that come and enjoy this amazing condo!!! Treasure Island...Resorts...what more do you need to know? Perfect location at Land's End; Perfect Unit 407-11; all of it handled by the perfect organization. Take my advice, contact the team at Resorts, rent a beachfront condo and have a great time! :-) We are already looking forward to your next visit!! Thanks for the post and kind words!! We love staying at Lands End. This is our 5th year in a row and will be back. The view is beautiful. The condo's are nice and affordable. The only thing I would add to building 11 #407 is the kitchen pots. There was not a boiling pot for corn on the cob or spaghetti. We have been visiting Land's End ever since we sold our home in the area two years ago. We have been at several different units, but this is the best! Great presentation; beautiful furnishings; First Class all the way! We will be returning in the Fall. Thank you. Fabulous time, fabulous place. 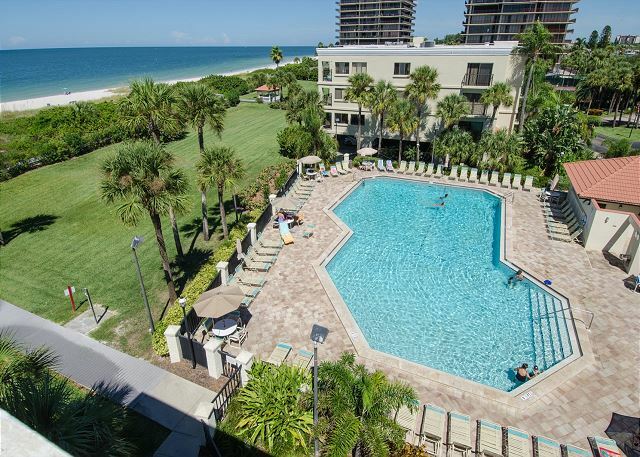 Very nice condo unit, great beach, great pool and amenities. Very nice updated unit. Resort Rentals is the way to enjoy a hassle free vacation. They take care of all the things you don't want to, so you can just enjoy the beach. We have no complaints about the condo itself. We had a wonderful stay and everything was very nice and clean. This is our second time staying in one of these condos And we will return again soon. The only thing that we thought that needed looking into was that the door dint unlock easily at all. A couple of times we were locked out for awhile until one of us was able to jiggle the lock enough for it to open. 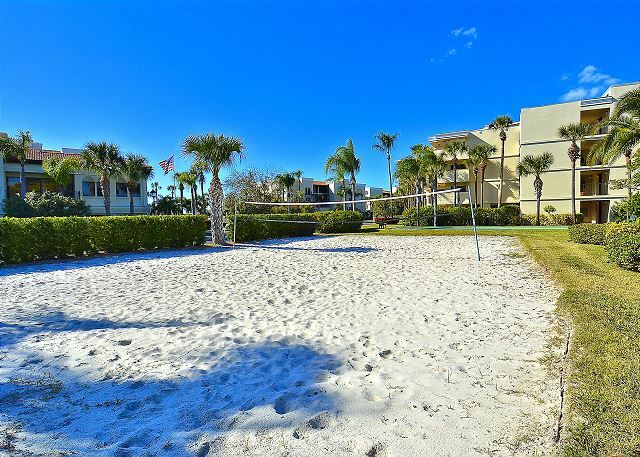 My family and I loved the Condo it was clean and comfortable ,the view from balcony was breathtaking and we saw dolphins few time jumping out of water.The condo was well equipped and perfect for 5-6 people.We can't wait to go back to enjoy all what the property and the area has to offer. This condo is large and well equipped. Everything was very clean. The top floor location gave a great view of the Gulf. The bathrooms and kitchen are updated very nicely. The Lands End complex is our favorite. Unit 407-11 was great, overall grounds were great, Resort Rentals was great to deal with as the management company. There was 5 of us (2 adults, 3 grade school children). Plenty of room in unit, nice upgrades, great view of Gulf. Excellent place to stay.